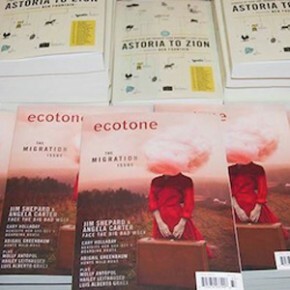 In House Guest, we invite Ecotone and Lookout authors, cover artists, and editors from peer presses and magazines to tell us what they’re working on, to discuss themes in their writing or unique publishing challenges, to answer the burning questions they always hoped a reader would ask. 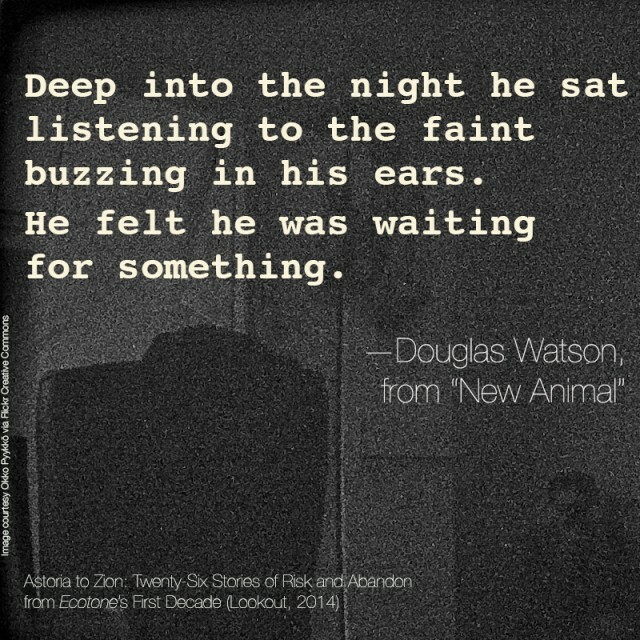 Douglas Watson’s story “New Animal” is reprinted in Astoria to Zion: Twenty-Six Stories of Risk and Abandon from Ecotone’s First Decade. I don’t know that much about philosophy, but that doesn’t stop me from poking fun at philosophers in my fiction. Really, though, it’s my younger self I’m making fun of. In 1990 I went off to college figuring I would major in philosophy. What could be better than staying up half the night thinking in a rigorous way about the most important questions? Wasn’t time spent doing anything else—like getting a haircut—ultimately just wasted time? In high school I’d been taken with Plato and the kind of existentialism found in Herman Hesse novels. Throw in a bit of Thoreau and maybe spin “All You Need Is Love” on the turntable and you’ve got the picture. But a funny thing happened in Philosophy 101, a thing that probably happens to a lot of freshmen who think they’re going to be philosophy majors: I fell out of love with philosophy. 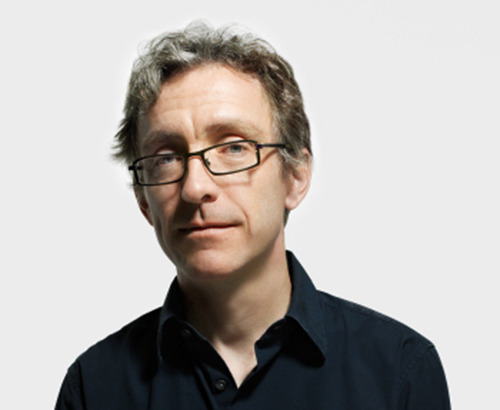 Philosophy, it turned out, was difficult and rather dry and quite possibly beside the point. Sure, my new college friends and I stayed up all night talking about the meaning of life, but we weren’t talking about Aristotle. Life, we decided, took place in the world, not just inside our skulls, and the world needed our help right now! The Gulf War was brewing, global warming was happening, and whole societal systems needed to be restructured ASAP if there was to be any chance of something-or-other. Trading the romantic image of myself in a scholar’s study for the romantic image of myself on a barricade, I began skipping classes and protesting the war and listening to the Doors. What I wanted was peace, and when I wanted it was right then.